In the last century, the human population has become increasingly urban, concentrating in city centers and suburbs. 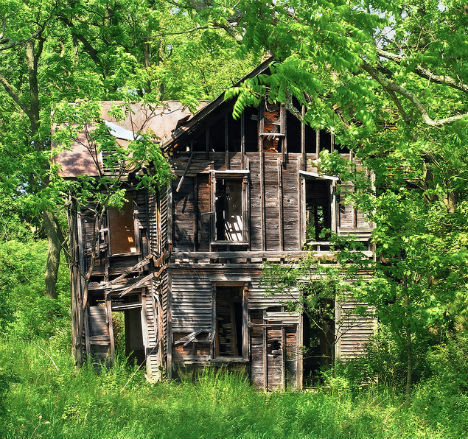 As younger generations leave and small farms are displaced by commercial agribusiness, rural properties fall into ruin – barns sagging, stables rotting, farmhouses standing like specters of the past. 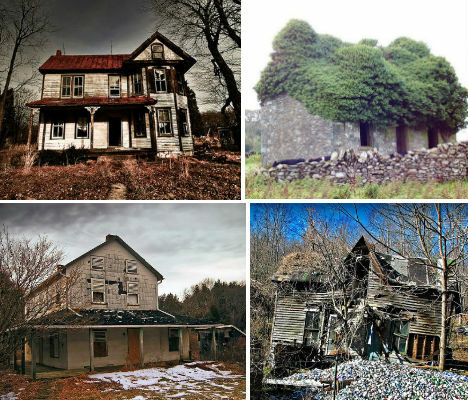 Because of their isolation, these structures are less likely than their urban counterparts to be home to squatters, or fall prey to vandals, so they can have the feel of time capsules. 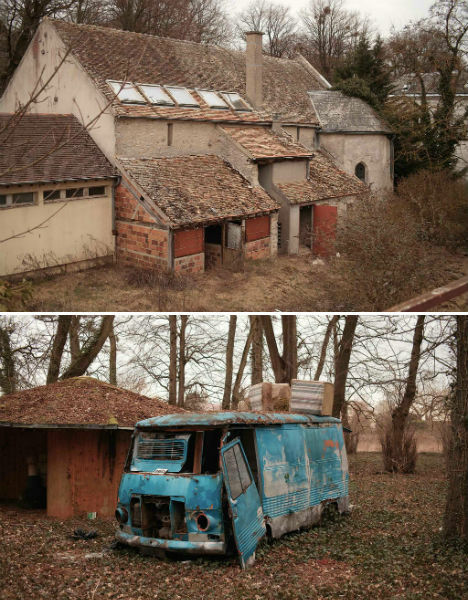 Here are 20 striking photographs of rural abandonments all over Europe, Britain and the Americas. 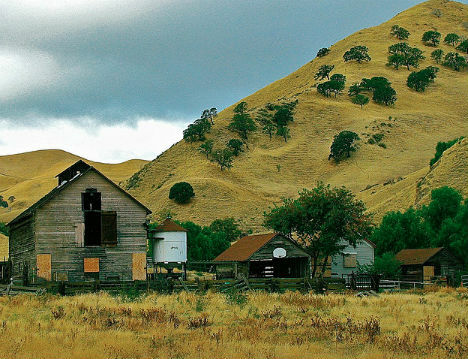 Golden tree-spotted hills rise up around an abandoned farm in Antioch, California, complete with a barn, stables and a grain silo. 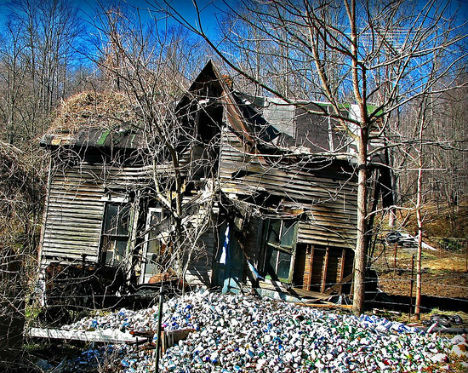 Perhaps the most striking thing about this abandoned property in Pike County, Ohio is the curiously large pile of aluminum cans discarded in front of the house. 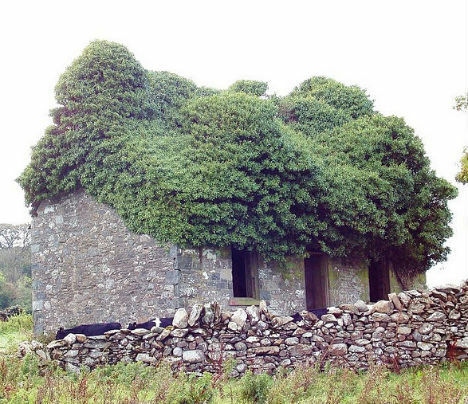 An abandoned cottage with a roof nearly taken over by vegetation is bathed in eerie light in County Kerry, Ireland. Remnants of snow and a dark cloudy sky made this abandoned home within the Delaware Water Gap National Recreation Area look even more sad. 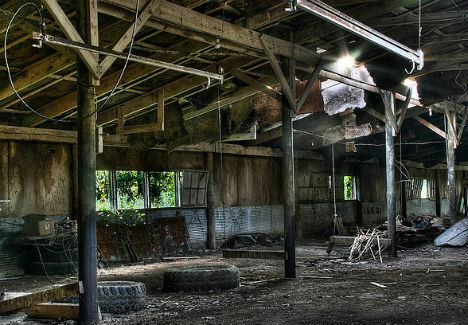 No longer home to horses, these rotting stables in rural Pennsylvania are rife with decay. 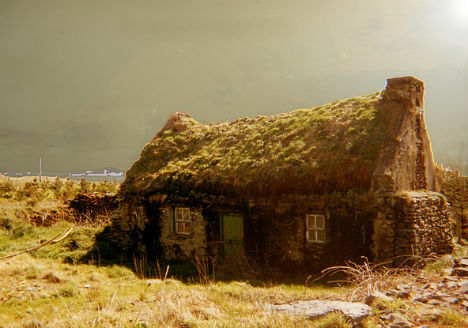 An abandoned stone structure near the Old Place of Monreith, Scotland has gotten a whole new roof, courtesy of Mother Nature. 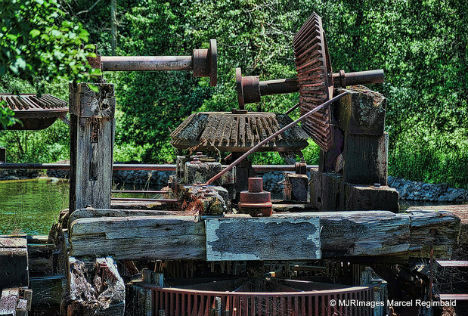 Historic mill works have been left to rust out in the open at Ashton, Ontario. 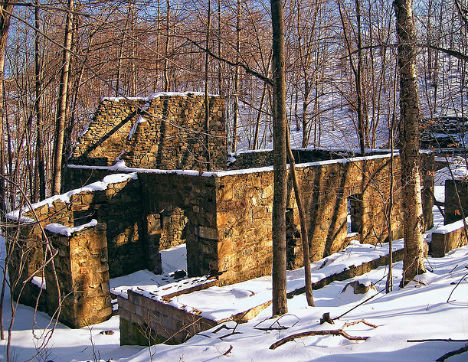 Only the walls remain of an old home near Devil’s Hole Creek in Paradise Township, Pennsylvania. 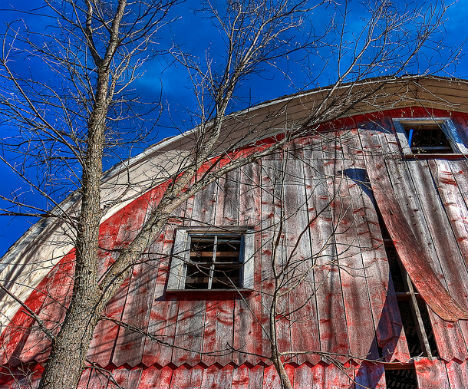 Red-tinged slats of wooden siding peel away from a barn in rural Wisconsin. 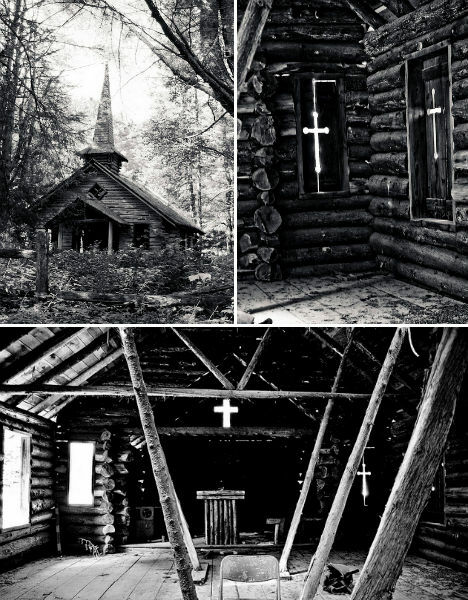 Photographer George Foster found a creepy old log chapel littered with leaves and dirt in the rural Adirondacks. 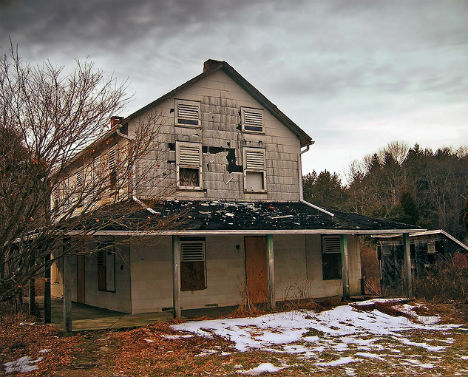 What might once have been a beautiful farmhouse in Columbia County, Pennsylvania is now little more than a wooden skeleton, looking as if it might fall at any time. 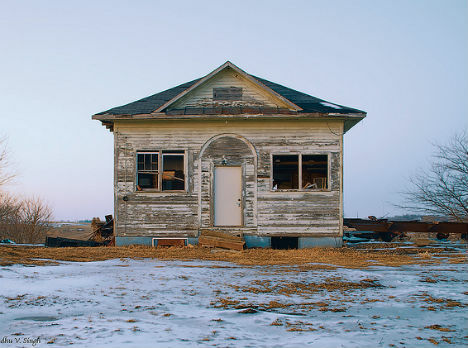 An abandoned home in the countryside of Iowa stands stark against the muted winter sky. 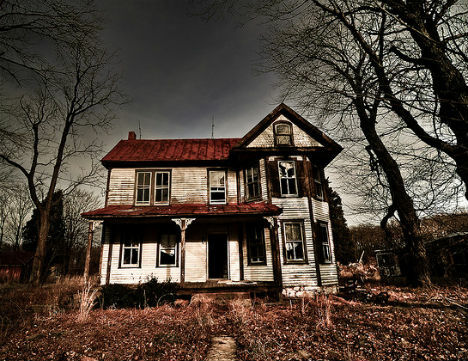 Here’s another farmhouse that was clearly once a beautiful home, and is now an empty shell awaiting demolition. 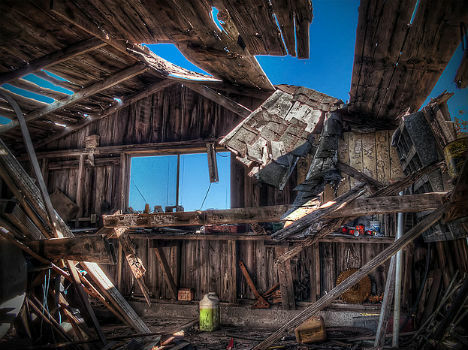 This wooden shed in Ontario has clearly seen better days, but is still littered with the remnants of its former purpose. 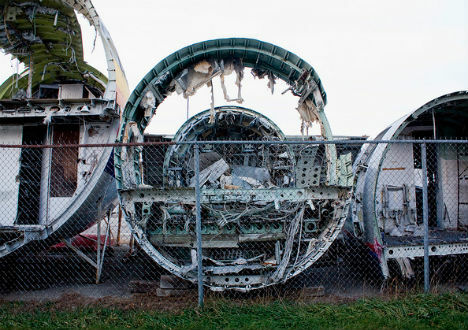 A rural area in Michigan serves as a graveyard for decommissioned nosecones from jet planes at the Meyers Airport. 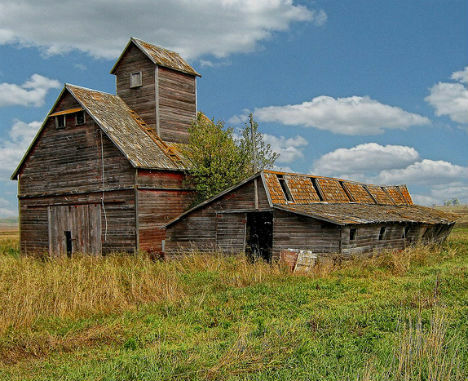 This abandoned barn in North Dakota still looks idyllic for now, but once it starts falling apart, that beautifully weathered wood should definitely be reclaimed. 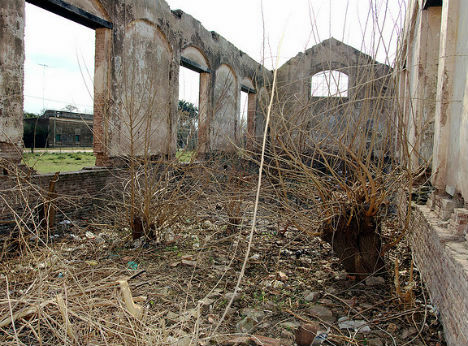 There’s not much left to this barn in the countryside of Argentina, and by the looks of those shrubs growing inside, it’s been empty for a while.